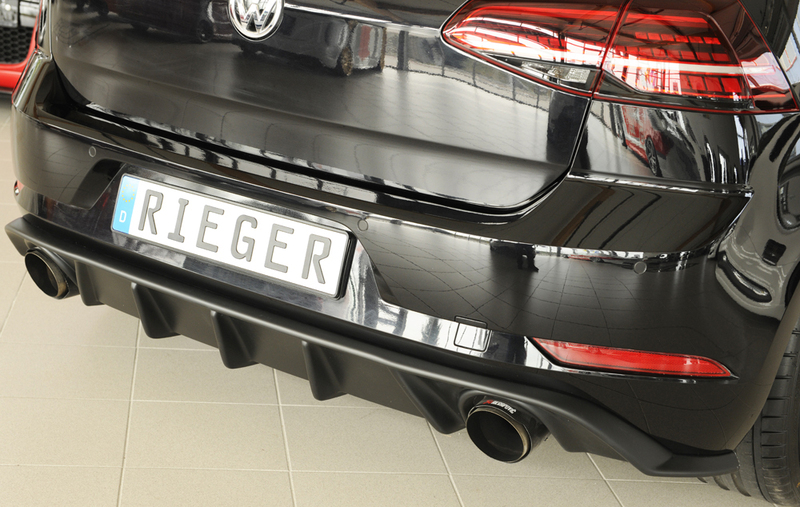 Golf 7 GTI: 02.17- (ex facelift) | 3-dr., 5-dr.
VW Golf 7 GTI: 02.17- (ex facelift) | 3-dr., 5-dr.
End-pipe cut 150mm wide. Max. 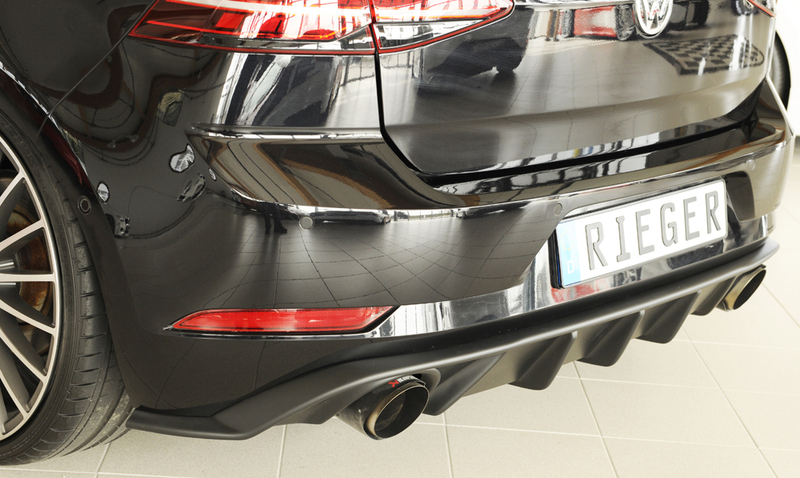 tail pipe ø: 120 mm. 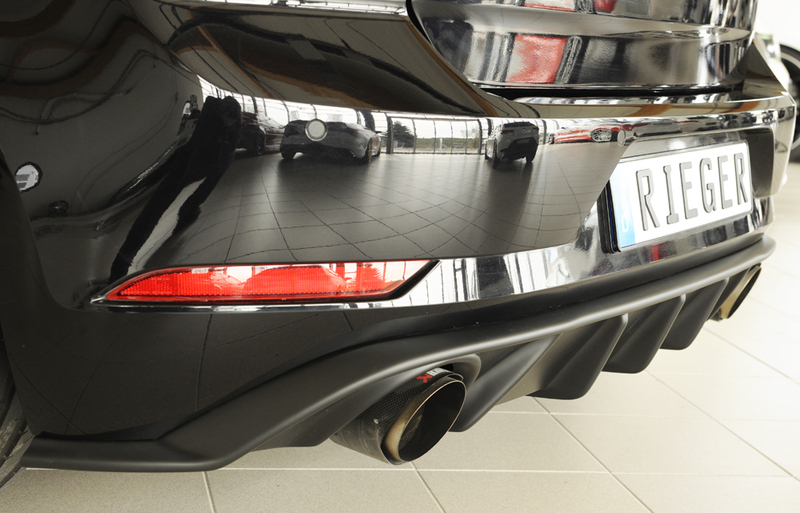 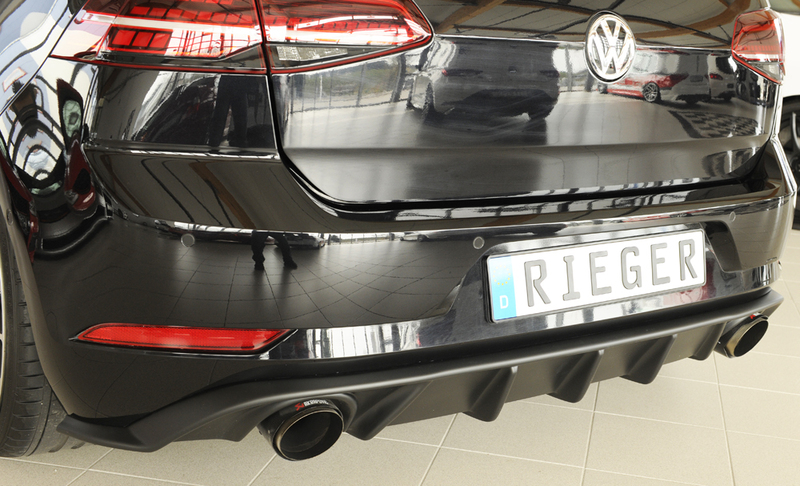 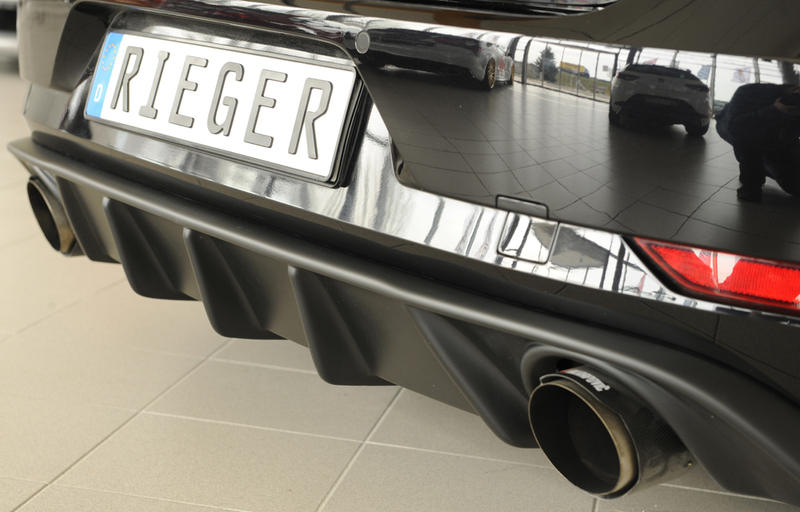 Rear skirt insert is fitting by Golf 7 only in connection with exhaust silencer in "GTI-look". 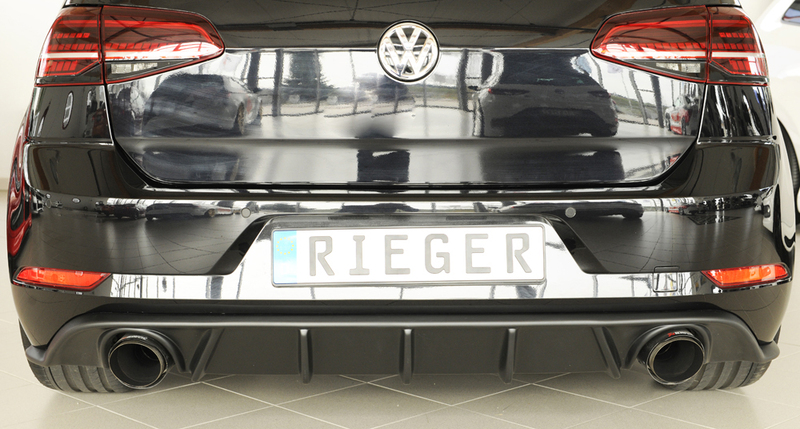 Does not fit with GTI Clubsport / Clubsport S.